* You will get 24 adorable gold Dresden fish. 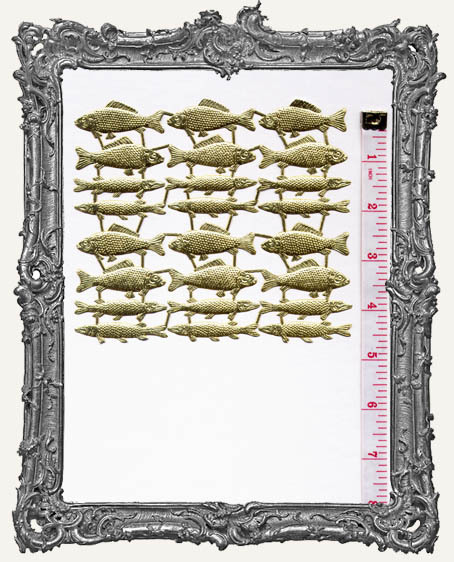 Each fish measure approximately 1.75" long. These have colored foil on the front and white paper on the back. Also available in green and aqua!